HOME PRODUCTS &AMP; SERVICES DIRECTORY OF SUPPLIERS OSBORNE INDUSTRIES, INC.
Osborne Industries Inc. is a custom molder of thermoset plastics formulated to your OEM specifications. 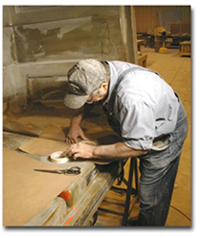 With Osborne Industries on your team, you get 40 years of expertise in the custom molding business. As pioneers in Resin Transfer Molding (RTM) and Reaction Injection Molding (RIM), you can be assured that Osborne's fully equipped engineering staff, and dedicated skilled craftsman can design parts to meet even the most stringent specifications. 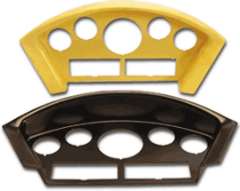 Normally, high tooling costs make it difficult to justify low to moderate volume plastic parts. 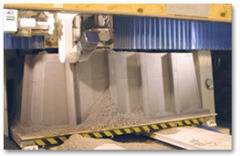 Osborne overcomes this obstacle by making closed, composite molds that can last for many years, making thousands of parts. Whether you need 50 parts, or 50,000 parts, Osborne will help you determine the most cost effective tooling and material to solve your toughest plastic challenges. Learn about Resin Transfer Molding (RTM) and Reaction Injection Molding (RIM) at Osborne Industries, Inc.
View More Announcements from Osborne Industries, Inc.